Amongst the other info they show the Infection rank for each country… based on total threats detected…. You may have already guessed what is the fail, but I let me explain it anyway. The linear model is fairly close to Inrection rank = Population rank. 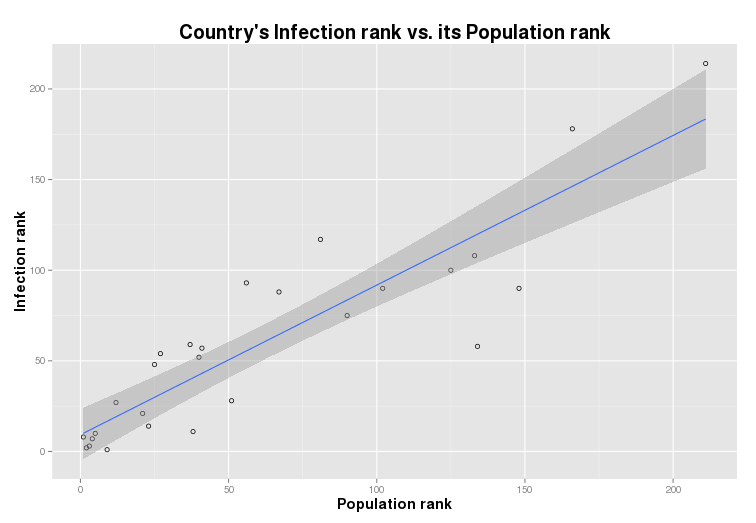 It is clear that the phenomena that is presented as an Infection rank just reflects a total software installations per country and not the severity of the ‘cyberthreat’. In order to get the actual Infection rank the number of detected threats have to be normalised by the number of software installations.